Share some time with family & friends to reflect on the end of an era at Valley Heights. The 105 year old Roundhouse at the Locomotive Depot Heritage Museum saw many changes over its life as a railway Depot, for steam engines from 1914 until 1957, then electric until closure in 1988. The 30th anniversary of the very last loco movement from the Depot (in April 1989) is being marked with some extra activities. The Museum is giving rare pride of place to one of its biggest exhibits when electric loco 4601 will be wheeled out of its usual resting place for all to enjoy in the light of day, while cab visits will enable visitors to experience the driver’s eye view from this 132 ton giant. 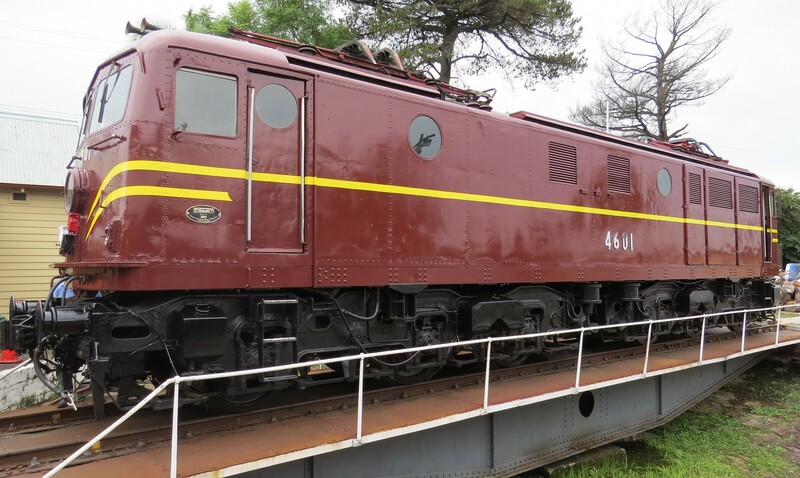 Carefully researched new interpretative panels will tell the story of this 46 class of locomotives, and will bring to life their successful track record. On delivery, they were the most powerful in Australia, designed to pull the heaviest coal trains. As usual, there will be 20 minute Steam Train rides on the ‘Valley Heights Mixed’, led by 1899 loco ‘Stevo’ the tank engine, operated by the Steam Tram and Railway Preservation Society. All the Museum’s regular exhibits and activities will be available, including the two model rooms, audio-visual experiences, historical displays, café, shop and more. Visit at 17b Tusculum Road, Valley Heights.